Let’s be honest. Throwing your body into the air while your arms support you as you fly over to the other side of an obstacle is something that just sounds pretty intimidating to most people. Seeing this action through the acrobatic feats of elite freerunners or gymnasts makes the average person think of it as a completely irrelevant skill as far as their day to day lives go. But if we break down the vault, we can see how applicable that pattern of movement really is in daily life. Vaulting is a method of getting over a low obstacle using the support of one or two arms to conserve forward momentum. 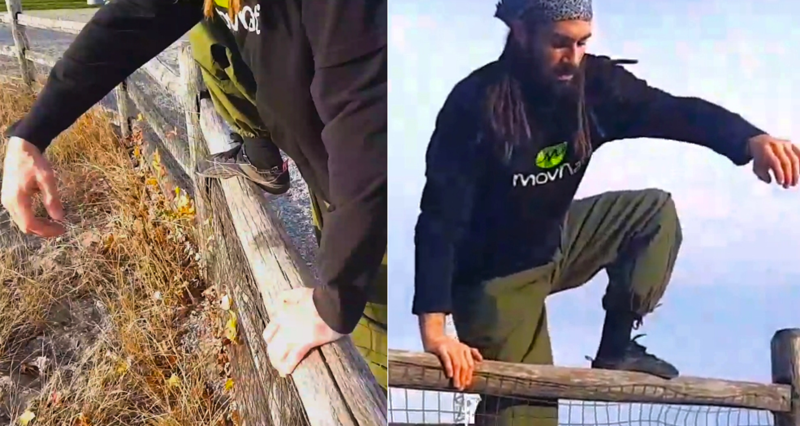 That skill is usually used when the obstacle is too high to jump or hurdle over, yet too low to justify the necessity of stopping and climbing over. For gymnasts, the expression of vaulting is to get the center of gravity high up for flashy movements. The goal of MovNat is quite different, being efficient movement safely through your environment. The center of gravity is kept low, movements are not as big, and there are minimal unnecessary motions. In the end, it looks like something useful and feasible for everyone at one level or another. If you are climbing up onto a stage, over a short wall, or a fallen tree along a path while you’re on a hike, that is when a vault is a practical option. It will also be a much safer option than trying to just step up onto it, especially if it’s unsteady or slippery. If fitness is your main goal, integrating skillful, practical movements like vaulting into your routine is a fun and dynamic way to develop upper body and core strength, as well as hip mobility, not to mention balance, coordination, and agility. One of the game-changing characteristics of the MovNat system is the progressive approach. 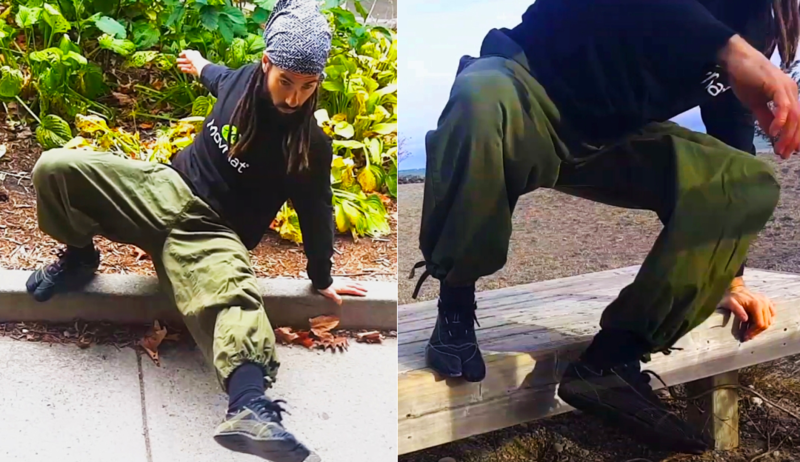 You can take the most complex movement skill and regress that movement to compensate for someone’s lack of mobility, strength, stability, or confidence, and then build up from there. You may notice a bit of a MovNat trend here, but we most often start from the ground and work our way up; in this case, it’s with a vital building block of the skill of vaulting, the “Tripod Transition”. This way we can get used to the pattern before introducing an obstacle. Even when your vault is a refined skill, you can still benefit from practicing the tripod transition on the ground and in other contexts. Before we start, remember to keep breathing. Try to be mindful of your breath and keep it long, deep, and calm if you can. Make sure that as you get into your rhythm you stay aware of your technique, keeping safety and efficiency in your movement as your priority. Speaking of safety, as things are getting more complex, let’s take a moment to observe our surroundings and make sure we are aware of any dangers. Make sure there is nothing dangerous you can fall into if you bail. And if you’re working outside, make sure you remove any debris leading up to, on and around the obstacle you will be using. Also, find out whether your obstacle is slippery or abrasive before your first attempt. Now that you’re vaulting, try to rely less and less on that stepping foot to support your weight until you are just tapping down. If you got stuck at one of these steps, that’s actually great, it means that stage in the progression has something to offer you. Take that as a sign from your body where you need to focus for now, and get really comfortable before moving on to the next step. You can follow this guide and find which progression you fit into. Whatever stage you are at, don’t try to rush to the next step; You will miss out on vital pieces of your skill that can only be developed efficiently through the regressions. Even if you are great at vaulting, that is not to say you can’t benefit from practicing different regressions of the tripod transition. There are many more places you can take each of these regressions other than adding the complexity of balancing and elevated balancing surfaces and obstacles. To increase the challenge in the MovNat system, we can add “volume”, “intensity”, as well as “complexity”. You can add volume by increasing the numbers of repetitions with tripod transitions on the ground, or slow down elevated tripod transitions to a painfully slow pace to increase intensity for example. Lately I have been experimenting with slowing down the vault to develop better core stability and control over my movement when I’m airborne. Exiting the vault in a precision landing would be an example of adding complexity to the mix. Of course there are plenty more vaults in the MovNat system that we are not even going to touch on today, but the tripod vault lays the foundation as the perfect entry level vaulting technique. Look out for MovNat class in your area or sign up for the next workshop nearest you to get some hands on training on vaulting among the rest of your innate human movement skills. If you enjoyed this post, please share it with your friends and sign up for our newsletter. And if you’d like to upgrade your movement skills, find a MovNat Workshop near you. Or, if you’d like to go deep in your movement practice and help others do the same, sign up for our MovNat Certification. 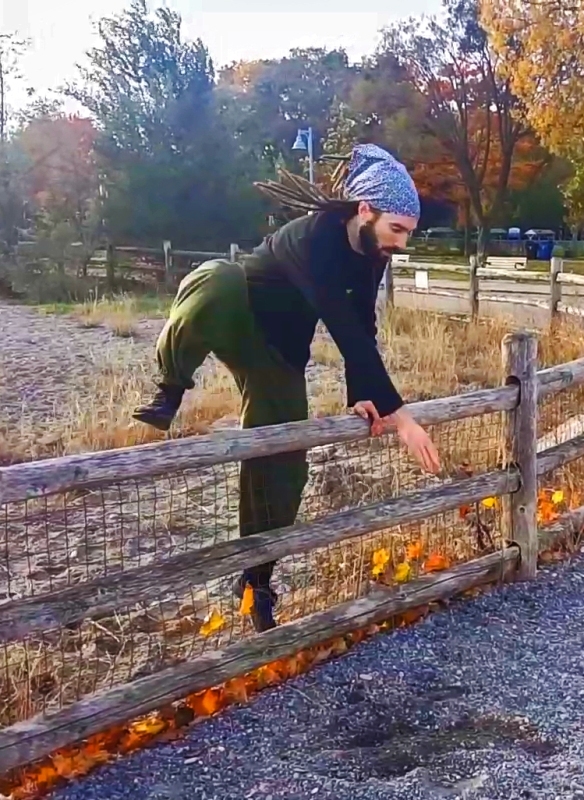 Alex Schenker is a level 3 MovNat Natural Movement Trainer, Shiatsu & Sotai Movement Therapist, black belt in Bujinkan Budo Taijutsu, and the founder of Natural Mobility. 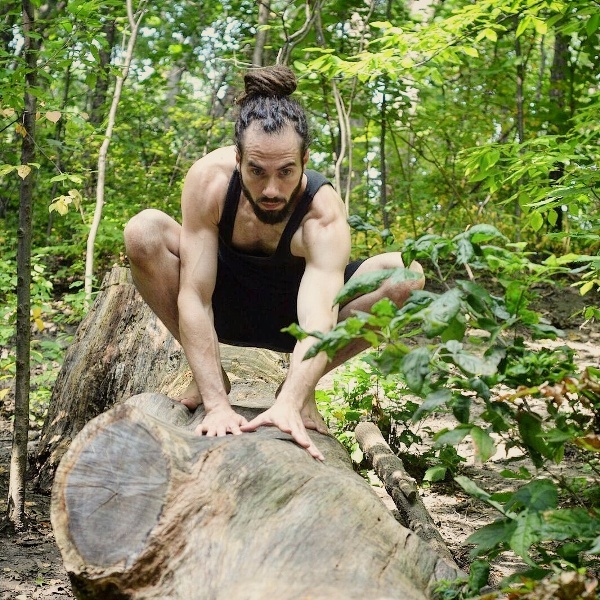 His work as a manual therapist, instructor, and trainer aims to restore balance in the body, build functional flexibility and practical strength, and develop the full spectrum of human movement skills to whatever level each individual may need.